What’s the financing option that small business owners love to have, but hate to get? The answer: an SBA loan. An SBA loan is often the most affordable financing option for small business owners. As we’ve said before, SBA loans are the holy grail of small business loans. But with stringent lending criteria and lengthy approval processes, gettingone is usually a headache. While the SBA typically reviews each application to ensure that the prospective loan meets SBA eligibility criteria, the SBA doesn’t lend money—businesses must apply for these low-interest-rate loans at commercial banks or other SBA-approved lenders. However, the SBA’s Preferred Lenders are allowed to bypass SBA’s review. 7(a) Loans: The most common, they’re used for general corporate purposes, including acquisitions and debt refinancing as well as equipment and real estate purchases. 504 Loans: Used for the purchase of real estate and long-term equipment, these loans are made available through community nonprofits called Certified Development Companies (CDCs). Express Loans: These multipurpose loans can get an SBA guaranty within 36 hours and have flexible structures, e.g., 2-year line with auto term-out over 5 years. You may think your business is small, but the more important question is: Does the SBA think so? According to its website, the SBA has established two size limits for small businesses—500 employees for most manufacturing and mining industries and $7.5 million in average annual receipts for many nonmanufacturing industries. Naturally, there are a number of exceptions. (For the juicy details on size standards, see the SBA’s Small Business Size Regulations, 13 CFR §121.201, or sba.gov/size). It is a riddle wrapped in a mystery inside an enigma. Now that we’ve covered the basics of SBA and what makes a good SBA candidate, let’s move onto highlighting the terms you can expect from an SBA loan. 504: First mortgage amount (the non-guaranteed portion, i.e., from a bank) typically limited to 50-60% Loan-to-Value, with $5.5mm maximum second mortgage debenture from Certified Development Company/SBA. 7(a): Most capped at Prime +2.75% but can be higher for smaller loans and shorter maturities (Prime = 4%). 504: SBA sets monthly debenture rate that is fixed for 10 or 20 years (current 10-year and 20-year effective rates are 4.5% and 4.66%, respectively). First mortgage rates are based on lender’s discretion but require a minimum 10-year term for commercial real estate (CRE) deals and 5-year term for equipment deals. Express: Prime + 6.5% on loans under $50k and capped at Prime + 4.5% on larger ones. 7(a): Up to 25 years for CRE transactions; up to 10 years for equipment, working capital, change of ownership, and additional non-real estate uses. 504: 10- and 20-year maturities are available. Express: For term loans, same as 7(a). Lines of credit up to 7 years. 7(a): Typically 10% down on CRE, with larger injections for more unsecured deals. 504: 10% for existing businesses and multi-use facilities. SBA requires additional 5% for startups and/or 5% for special use properties, up to maximum 20%. Express: Typically not required for lines of credit. 7(a): 85% guaranty for loans up to $150k and 75% for larger loans. 504: Project costs financed as follows: CDC (guaranteed portion)—up to 40%, Commercial Bank Lender (non-guaranteed)—50%, Equity–10%, plus additional 5% if new business and/or 5% if special use property. Express: 50% on Standard Express and 90% for Export Express. 7(a): Lender may accept available collateral per SBA requirements. If not available, transaction will be considered under-secured, and credit decision will be based on project strength. Express: Collateral not required for loans up to $25k. Lenders may use existing collateral policy for larger loans up to $350k. For maturities of one year or shorter, fee is 0.25%. For longer maturities, 3% on loans of $150k to $700k; 3.5% on loans of $700k to $1mm; 3.75% on loans over $1mm. 504: Fees total approximately 3% of the debenture and may be financed with the loan. SBA does allow first mortgage loan fee to be charged. Express: Similar to 7(a) program. 7(a): No prepayment penalty for maturities shorter than 15 years; penalty limited to 5%-3%-1% (years 15, 16, 17) for longer-dated loans. 504: For the debenture, equal to one year’s interest in year 1, declining by 10% per year (to zero) after ten years. Flexible for the first mortgage piece. The SBA guarantee allows certain borrowers (e.g., startups and companies without much collateral) to obtain low-cost commercial loans. Long maturities and low rates allow companies to lock in attractive long-term financing. Approval process can take two to three weeks longer than conventional loan approval. Personal guarantees required by anyone who owns 20% or more of the company. 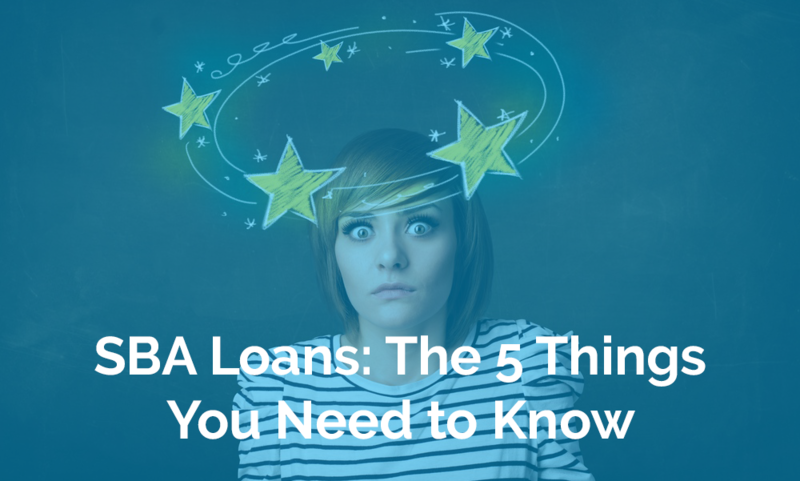 We know – there’s a lot to know about SBA loans. Wondering whether an SBA loan is right for you? I’d be happy to chat. Fill out the form below, and I’ll be in touch.